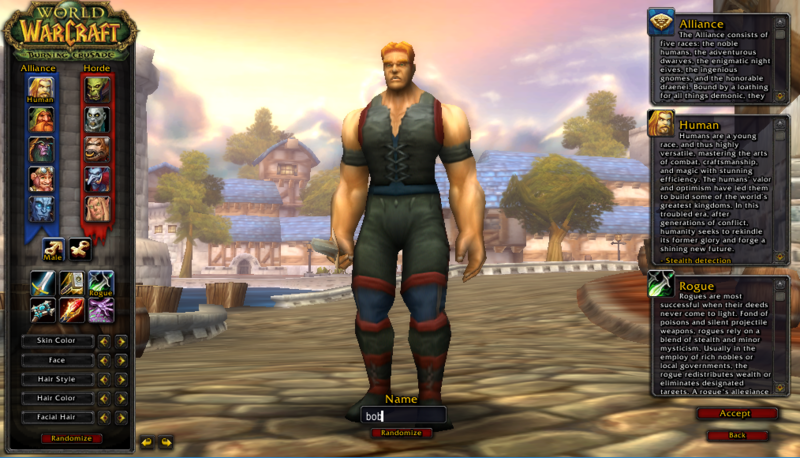 Before getting started, make sure you have a TBC client available. Getting ready to use the Instant 70 / Instant 58 features. 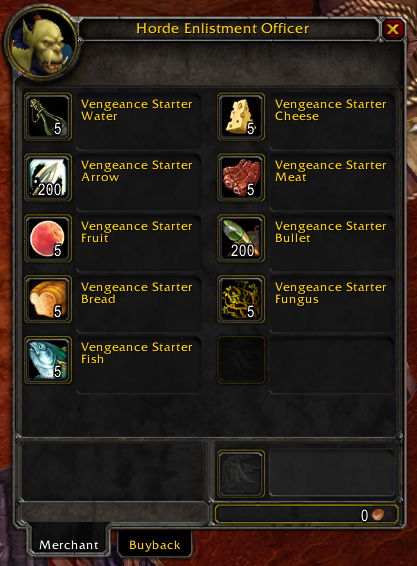 Always before playing on VengeanceWoW (and especially before using the Instant feature), you must clear your Cache. Don't worry, it gets automatically regenerated whenever you play the game. This step is required to resolve many common errors players encounter. NB! 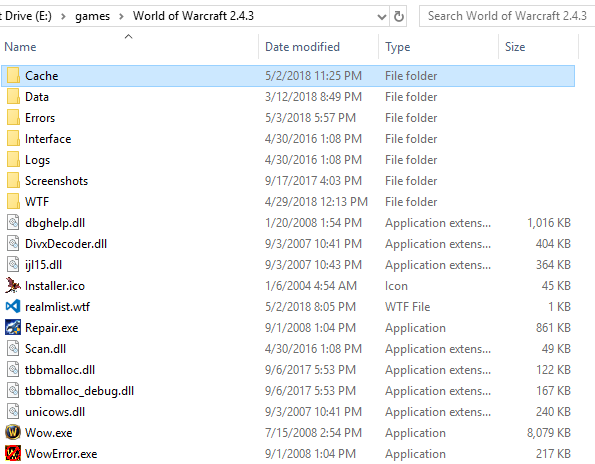 Some AddOns can conflict with the Instant 58 / Instant 70 script, so for the usage of the boost process, please disable your AddOns! 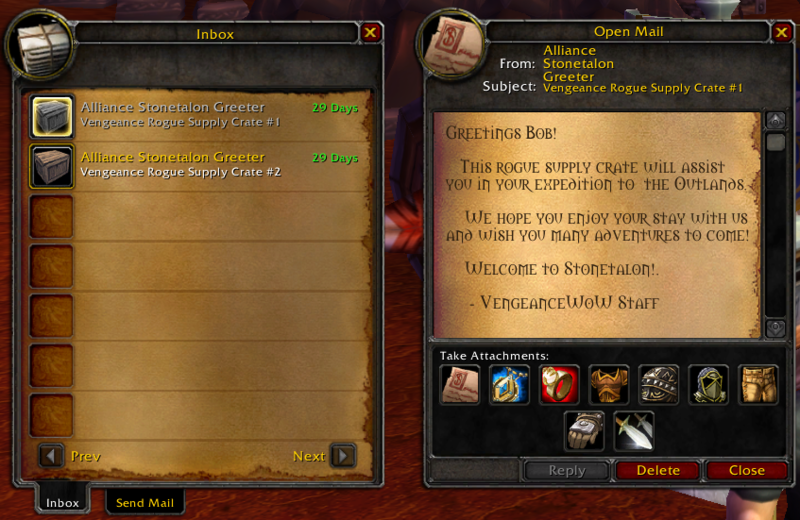 Now you'll need to locate the Alliance/Horde Vengeance Greeter located in every starting zone. This NPC will always be very close to where you first spawn. 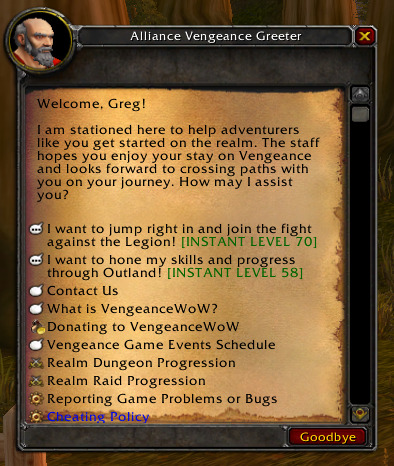 Speak to the Greeter and select either the Instant 70 or Instant 58 option. 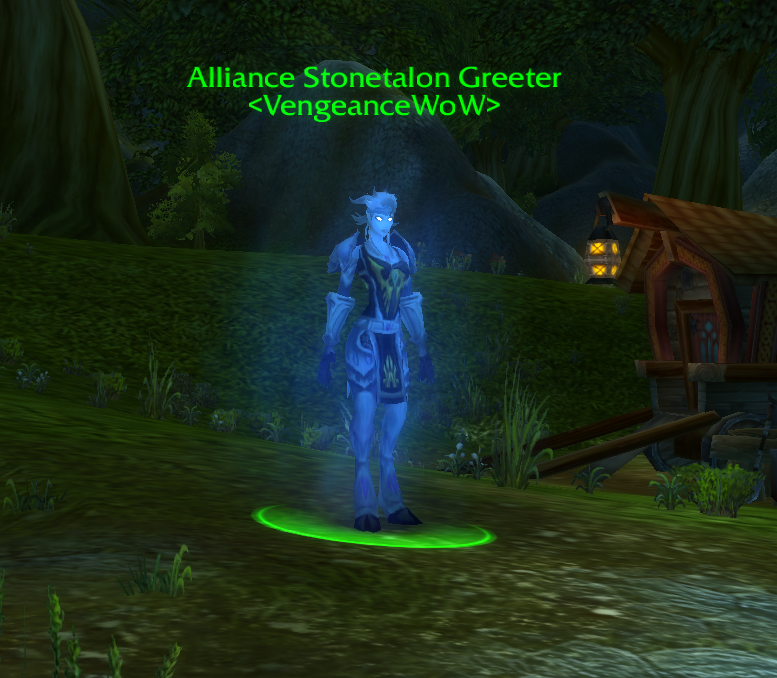 Once you confirm your choice, you will receive all your base class spells/abilities and teleport to Shattrath City. Here you will find the Master Provisioner (A huge goblin). Now is the time to set your talents. 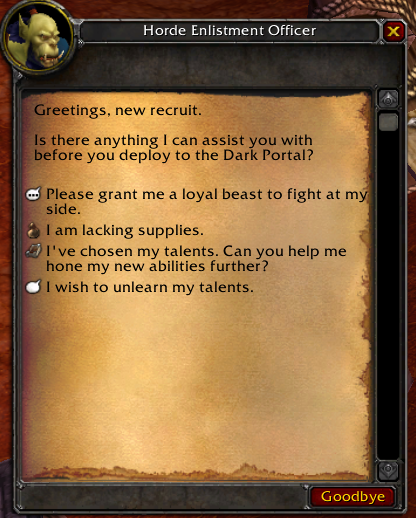 After doing so, you can ask the Master Provisioner to teach you the higher ranks of spells learned through the talents at no extra fee. 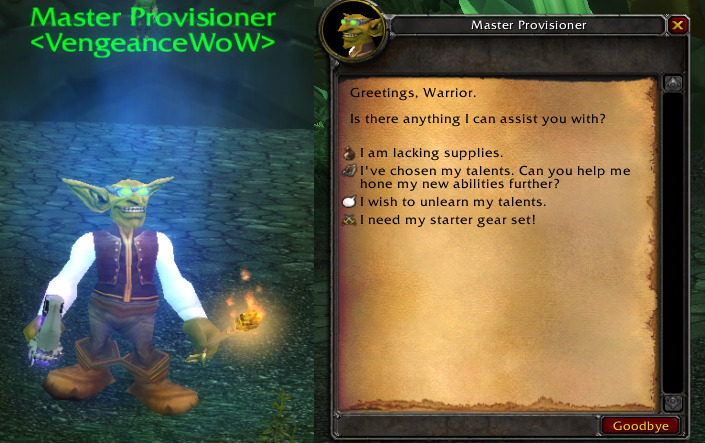 After that, ask the Master Provisioner to give you your Starter Gear. This is highly customized and you will not have any trouble finding the gear most suited for your playstyle. All items will be automatically equipped for you, but you will be required to relog to see the proper model's for the starter set. 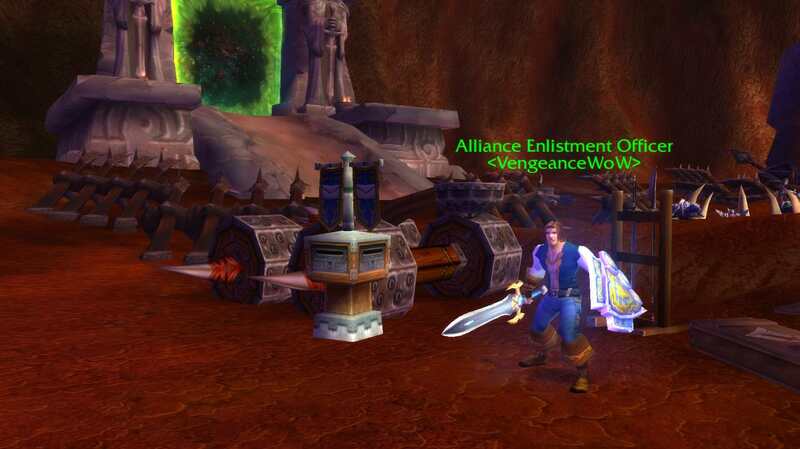 Once you confirm your choice, you will receive all your base class spells/abilities and teleport to Blasted Lands. Grab your gear from the mailbox and speak with the Enlistment Officer.